A misalignment of the eyes where they are not both directed at the same object. At any moment one is looking at an object and the other may be turned in, out, upwards or downwards. 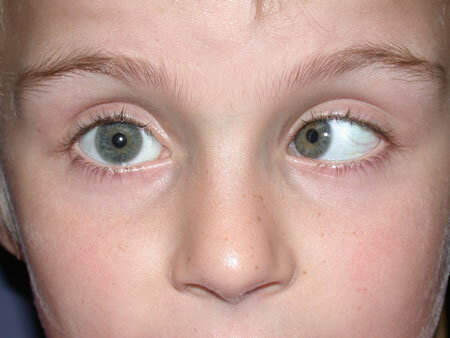 Also known as strabismus or turn of the eye. 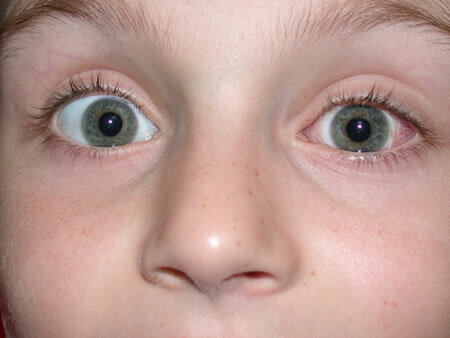 In children most squints are due to mis-wiring of the nerves that control eye movements. Squints may also be due to brain disease, cranial nerve palsies , myasthenia, or local problems within the orbit such as thyroid eye disease or tumours. Blind eyes may also develop a squint. Squint developing in adults leads to double vision unless one eye is blind or the lid is closed (eg third nerve palsy). In children younger than 8-9 years the confusion of constantly having two different images leads to the brain switching off to the turned eye’s image. If this persists the normal visual nerve connections in the brain do not form and vision in the squinting eye is reduced, sometimes profoundly (amblyopia). This becomes permanent; the younger the child the more rapidly this can occur. Children with squint should see an ophthalmologist soon. 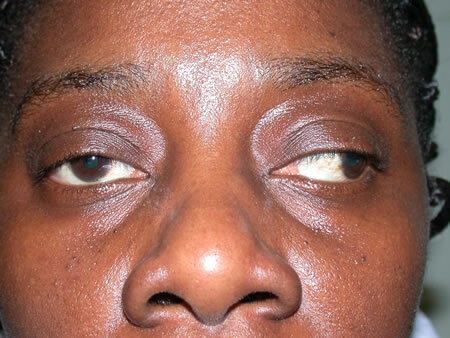 Adults with new-onset double vision need urgent referral.